Fetish Fantasy Series Limited Edition Leather Love Mask Black. Create thrilling sexual excitement with this beautiful Fetish Fantasy Leather Love Mask. Try it on your lover or use it as a nightshade for yourself. 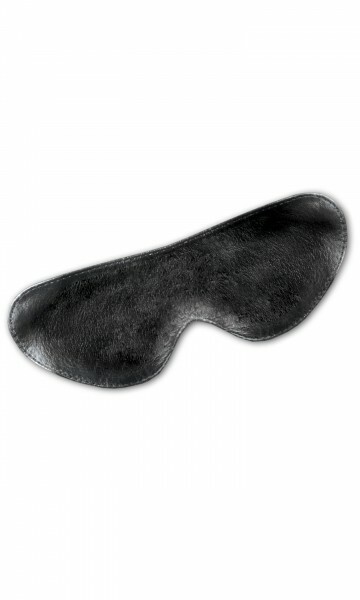 When you put it on your partner, it softly covers their eyes, keeping your lover in a pleasurable state of darkness and anticipation that heightens their sexual desire. This high quality mask stays comfortably in place with an elastic fabric strap. Heightened sensory awareness can lead to extraordinary love sessions for both you and your partner. One size fits most. Unisex. Material:Leather. Package Depth 1 inch. Package Width 3 inches. Package Height 5.5 inches. Packaged Weight 0.90 ounce. Country of origin China. Pipedream Products Catalog featured in 2012 Fetish Fantasy Limited Edition page 9.